The Thai Bangkaew is a medium sized spitz breed of Asian origin. 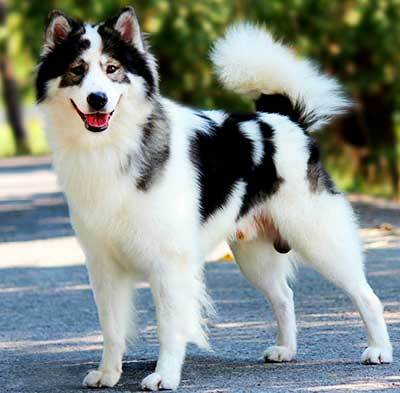 Besides its well-proportioned compact body, it also has a square head, pointed, high-set ears, muscular neck and chest, almond-shaped eyes, and a moderately, long plumed tail curved to the back. 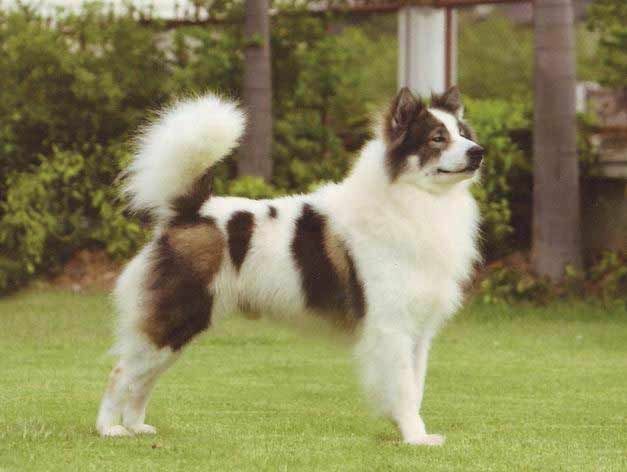 Robust and athletic, this breed due to its independent streaks is, however, not a proper choice for first-timers. 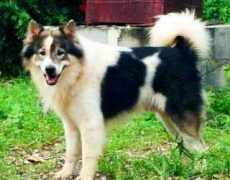 This dog derived its name from the place where it originated…the Bangkaew village, situated in central Thailand’s Phitsanulok Province. There are several folklores regarding its origination. The most prominent one is about a monk who lived in the Bangkaew temple, by the name of Luang Puh Maak Metharee, famed for his merciful and caring nature towards all living beings. 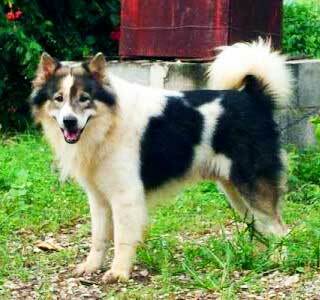 He had received a pregnant black and white dog from a villager named Tah Nim. 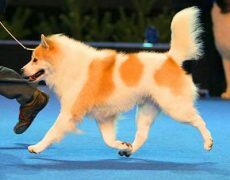 She was thought to have mated with a dhole or golden jackal owing to the lack of male dogs in the surrounding vicinity then. In fact, a chromosome study conducted on the puppies produced by these dogs has confirmed them to be a dog-jackal interbreed. 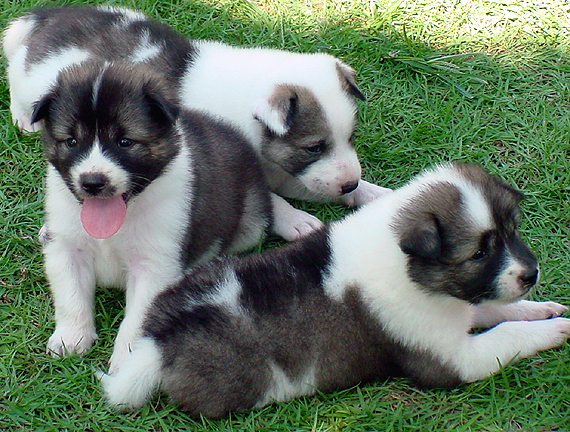 The resultant outcome was a litter of four female longhaired puppies that were dark brown and black. 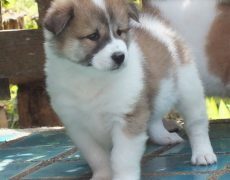 These puppies raised by the monk attained popularity among the locals and were said to be the forerunner of this breed. Their genetic pool was said to undergo an alteration post the arrival of the famous Song tribe who were farmers and brought along with them their pet breeds. 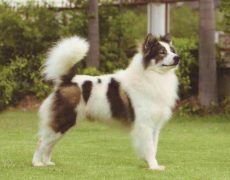 They started inbreeding of the Thai Bangkaew with their pet canines, that laid the founding stone of what the breed is at present. Though being bred selectively since the 1950s, they were almost on the brink of extinction, since people did not take much interest in its well-being and development. The noble initiatives of a veterinarian, Dr. Nisit Tangtrakarnpong, along with a group of TBD admirers saved these dogs from being wiped away completely. 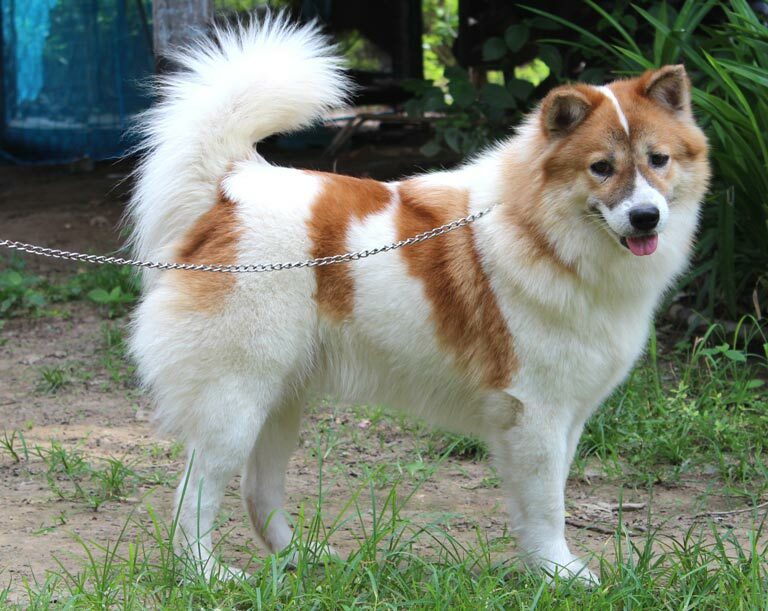 Presently regarded as an asset of the Phitsanulok Province, the Thailand Bangkaew has been included in FCI’s (Federation Cynologique Internationale) Asian Spitz And Related Breeds category, though the AKC has not acknowledged it yet. 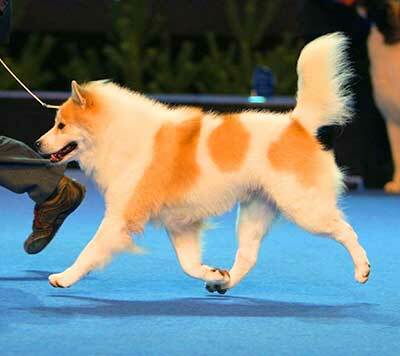 These energetic and active dogs have a loyal and affectionate disposition, being highly protective of their family. Though they may not aggressively deal with strangers, the TBD is profoundly aloof and wary towards them, intimating their masters at the sight of an unknown person into their premises or property by barking aloud. 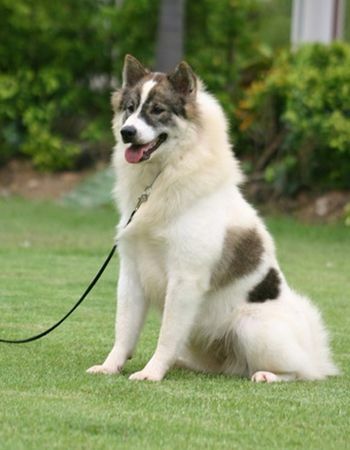 This trait makes them an effective protector and watchdog. Though they would be a great companion for kids, the little ones should be taught to deal with them in a patient and gentle way. 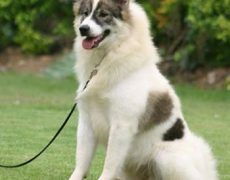 Their rapport with other dogs might not always be a pleasant one, keeping their stubborn and highly territorial nature in mind. If you have smaller pets at home like cats, rabbits, guinea pigs or chicken, keep them away from your TBD if the latter is not socialized as it possesses strong chasing instinct and may get after these small pets, considering them for a wholesome treat. 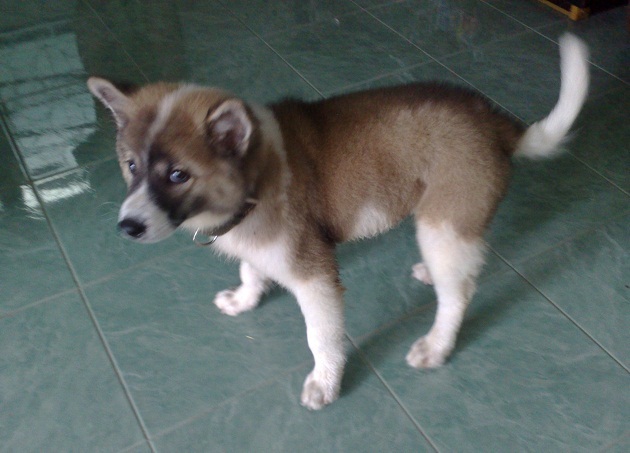 They need regular exercise, owing to their active, energetic nature. Taking them out on daily walks, alongside sufficient playtime would be good enough to channelize their energy positively. Because of their active and energetic nature, they are not suited for apartment life, but would rather be apt for those dwelling in the countryside or living in houses with a big yard. They have minimal grooming requirements since they do not shed too much. Brushing them one or two times in a week would help in maintaining the shine. Bathe it rarely, only when it gets dirty. Bushing its teeth, trimming its nails, cleaning its eyes as well as ears are the other hygiene needs that are to be kept in mind. 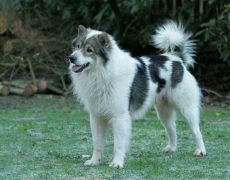 Some of the common health problems they may suffer from include dysplasia, chronic ear infection, luxating patella, and cryptorchidism. Because of its stubborn and strong-willed nature, it needs an experienced and firm master who can handle it in the right way. Socialization: Since they are extremely anxious about strangers, socializing them since their puppyhood is of utmost importance. 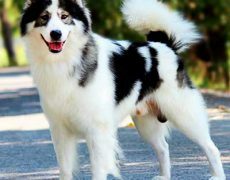 It is necessary to acquaint your dog to different people and experiences to help him differentiate the good from the bad. Try developing a rapport between your pet and those who visit your house frequently by asking the guests to carry treats when they come along. Obedience: Training it to follow commands since a young age would help to keep its territorial instincts under control. Once your pet is adept at following commands, start giving him jobs like fetching a ball or picking the newspaper from the ground. Keep a watch on his actions, and the moment you spot him getting hyper at the sight of someone approaching into his territory who may not be a threat for your family, assign it a specific task. Once he succeeds in completing the job, reward him with a treat. In this way, you could ward off unpleasant behavior from his end. However, you should also teach him to identify a wrongdoer so that he may alert you at the right time. 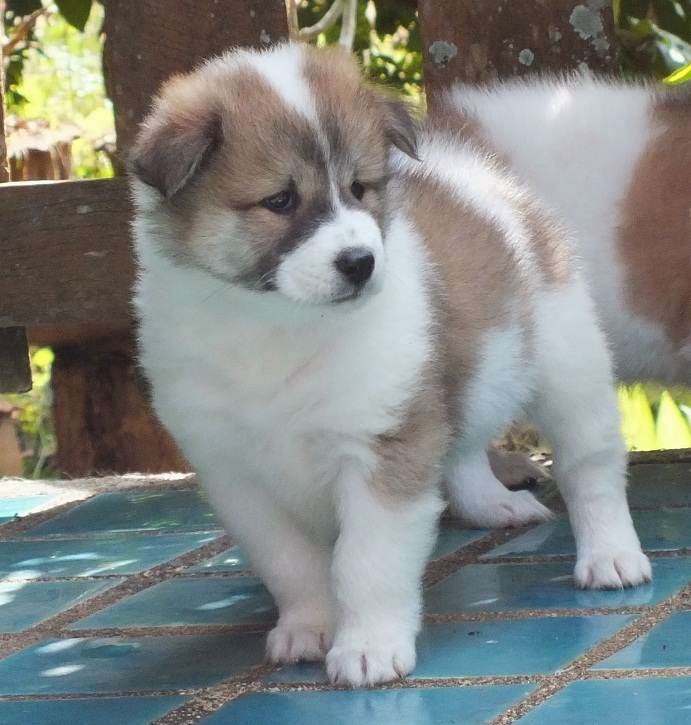 Feeding your Thai Bangkaew a wholesome meal comprising of good quality dry dog food will help meet its nutritional requirements. If you are giving it homemade diet alongside its regular meal, ensure to provide it in restricted amounts to keep a check on problems like obesity.